“It is the best feeling in the world to see an animal that you have rescued from the pit get its freedom,” says Cosmas Mumba, Project Manager for the Born Free-supported Zambia Primate Project (ZPP). ZPP has rescued, rehabilitated and released more than 700 injured, orphaned or illegally-held vervet monkeys and yellow baboons back to the wild. It is one of Africa’s most established and successful primate release programmes, with a survival rate 12 months post-release of 96%. Cosmas is at the very heart of ZPP. 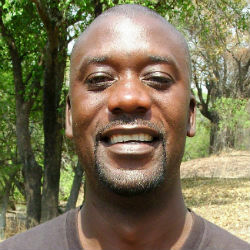 Having rescued and released monkeys that had been trapped or stoned by villagers since he was a child, he left secondary school to work at Munda Wanga Zoo, in Lusaka, as a casual worker. From those humble beginnings, Cosmas and ZPP have come a long way. 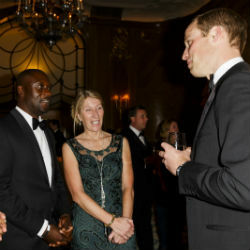 As well as rescuing more than 700 monkeys and baboons, in 2015 Cosmas even got to meet HRH The Duke of Cambridge when he was a finalist for the prestigious Tusk Conservation Awards.